If you don’t use them in your prescription glasses, I’m willing to bet you know someone who does. They’re that popular, and that ubiquitous. They’re transitional lenses, more formally known as photochromic lenses, and less formally known as “lenses that change in the sun.” That’s because these little miracles of science do just that. 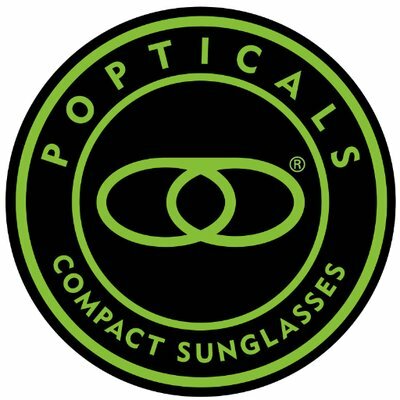 Photochromic lenses respond to the ultraviolet light content of the sun, darkening when exposed to the sun’s rays and clearing when UV light is removed. They also darken incrementally – just a little bit when the sun isn’t right in your eyes, more when direct sunlight hits the lenses. They do not darken at night or – since they do not respond to most forms of artificial light – darken indoors. This effectively combines your regular prescription glasses with prescription sunglasses, all in one handy package. Photochromic lenses do not wear out, either, at least not over the course of your eyewear’s lifespan, so this process can occur over and over again. How do they do it? Transitional lenses are treated with a photochromic layer when they’re formed; in some instances it’s applied between layers of glass or plastic, but in most cases application consists of a chemical dip that is then cured to form a permanent exterior coating. This coating contains molecules that actually change shape in response to UV light, in essence reforming themselves and, in the process, blocking light. This causes the darkening effect that protects your eyes. When the UV light lessens or disappears completely, the molecules revert back to their original form, and the lenses clear. That’s all great, you may say, for my everyday glasses. But what about prescription safety glasses? Some people use safety glasses a great deal, for work or numerous other tasks, and order them with prescription lenses for proper vision correction. They often work outdoors in bright sunshine and could benefit greatly from lenses that adapt to changing light conditions. So can photochromic coatings be applied to safety glasses? The answer, in most cases, is yes. The large majority of available safety eyewear shapes, styles, and lens arrangements allow for the use of photochromic coatings. Certain optional coatings may conflict with the transitional coating, and you’ll have to choose one or the other, but for the most part, just about any safety eyewear arrangement can be ordered with photochromic lenses. Safety glasses are essentially regular glasses, just fitted with polycarbonate lens material that is more impact-resistant than standard material. Polycarbonate lenses are compatible with photochromic coatings. Safety glasses also feature special frame designs and frames that are composed of impact-resistant plastic, but this does not affect the lens coatings you can choose. 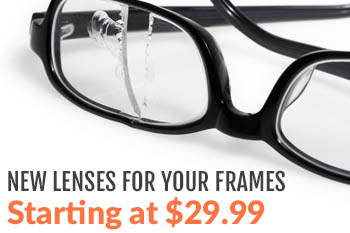 So pick out that frame style of safety eyewear that you like best and order it with lenses formed to your prescription. You’ll likely find that you can add a photochromic coating to the mix and enjoy the convenience and versatility of “three-in-one” eyewear: prescription glasses, prescription sunglasses, and prescription safety glasses, all in one pair.